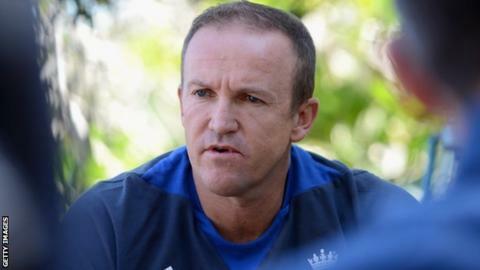 It was the moment that marked out Andy Flower and Henry Olonga as two of the most courageous figures in the history of their sport. On 10 February 2003, as their country prepared to host its first World Cup match, the Zimbabwe cricketers released a statement to journalists at the Harare Sports Club in which they denounced the "death of democracy" in their homeland. And in order to underline their opposition to President Robert Mugabe's 'regime', they took to the field wearing black armbands. In making their stand at an international sports event, Flower, Zimbabwe's most successful player, and Olonga, the country's first black cricketer, were drawing the attention of the world to what they saw as human rights abuses taking place in their country. But in opposing Mugabe, who was elected as Prime Minister in 1980 in post-independence elections and became president in 1987, they were throwing away their international careers, putting their lives in danger and condemning themselves to a life in exile. Ten years on, the protest is the subject of a BBC Radio 5 live Sport special to be broadcast at 19:00 GMT on Thursday. Listeners will hear the personal recollections of Flower and Olonga as they relive the moment they made their bold stand. While Olonga wrote at length about the extraordinary episode and its consequences in his 2010 autobiography Blood, Sweat and Treason, Flower has remained largely silent, and the man whose stewardship of the England team has been characterised by a dispassionate resolve becomes deeply emotional as he remembers his thoughts and feelings before, during and after that fateful day. In an interview with 5 live's Alison Mitchell, Flower explains that the protest came about after an old friend, Nigel Huff, took him to see how his once-thriving farm had been devastated by the government's land reforms. "Nigel said we had a moral obligation not to go about business as usual during the World Cup but to tell the world about what was going on in Zimbabwe," recalls Flower. "Under normal circumstances you don't want politics to interfere in any way in a sporting context but this was different. This was a remarkably brave statement by two individuals against the way their country was being run, and it was made a stone's throw from Mugabe's residence. "It made a huge impression on everyone involved in the tournament and became a talking point wherever you went. Indeed, I remember catching up with Henry Olonga at a match later in the tournament in South Africa where he revealed that he thought he was being followed and may have to flee his country." "Once he had planted that seed it was very hard to ignore it and it changed the way I viewed the country and our participation in that World Cup." Flower knew that the chances of engaging the whole team in a protest or boycott were remote given that certain players either had sympathies with the regime or would be unwilling to take such a risk. So he decided to approach Olonga, a 26-year-old fast bowler with a sharp mind and strong sense of morality. "I thought Henry might grab the concept and have the courage of his convictions to take a stand," adds Flower. "I also thought the fact that it would be one white Zimbabwean and one black one operating together gave the message the most eloquent balance." A series of clandestine meetings followed involving Flower, Olonga and David Coltart, a human rights lawyer and a member of the opposition party. Together they decided that the most effective way to make their point would be through a written statement and the wearing of a black armband to symbolise their mourning for the death of democracy in Mugabe's Zimbabwe. Flower and Olonga describe the sense of foreboding as the day of the match due nearer, followed by a feeling of liberation once they had finally put their plan into operation. "It is impossible to ignore what is happening in Zimbabwe. Although we are just professional cricketers, we do have a conscience and feelings. We believe that if we remain silent that will be taken as a sign that either we do not care or we condone what is happening in Zimbabwe. We believe that it is important to stand up for what is right." One of the most powerful passages of Flower's testimony arrives when he reads aloud the 450-word statement which was distributed around the press box by English journalist Geoffrey Dean on the morning of the Namibia game and subsequently reprinted in newspapers across the globe. "They are familiar words," says Flower. "I have a copy framed in my house and just occasionally if I come across it I read the entire statement again. "I love the way it was written - the meaning in some of those sentences is very sad because it is a reminder of what was happening in that country at that time and some of the people who went through agony and lost their lives." Flower and Olonga's actions were applauded in international media but drew a furious response from Zimbabwe's cricket administrators and politicians. Olonga was expelled by his club side and branded an "Uncle Tom" who had "a black skin and a white mask" by Zimbabwe's propaganda minister Jonathan Moyo. Flower, who was 34 at the time, had already planned to quit international cricket after the World Cup and had signed a contract to play for Essex in England, but the younger Olonga was less prepared for a life in exile. "I had in my own naivety thought that I could carry on in Zimbabwe - maybe my career would come to an end but I could still live there," Olonga tells Mitchell. "But that all changed when I got death threats two or three weeks after the World Cup. It became very clear that they had it in for me after the World Cup. I realised the game was up." Olonga followed Flower to England where he gave up cricket and forged a career as a singer and public speaker. Now settled in Somerset with his Australian wife and two daughters, he says he has no regrets about his actions but would be uneasy about returning to his homeland with Mugabe still in power. "I would need some guarantees that the people who wanted to harm me a few years ago do not still want to harm me," he says. "As a dad and someone who has responsibilities, I would need to know it was safe." Flower, who is seeking to lead England to their third straight Ashes victory over Australia this summer, believes enough time has passed for him to contemplate a return to Zimbabwe. But he remains deeply proud of the moment when he transcended his sport. "We can't all change the world, but if we all do little things along the way and make the most powerful decisions we can then I think we can bring about change," he says. "Would I do it again? Given the same circumstances, without a doubt, yes." 'Black Armband: The Full Story' - a 5 live Sport special - is available to listen again and download.